Northern Thailand. 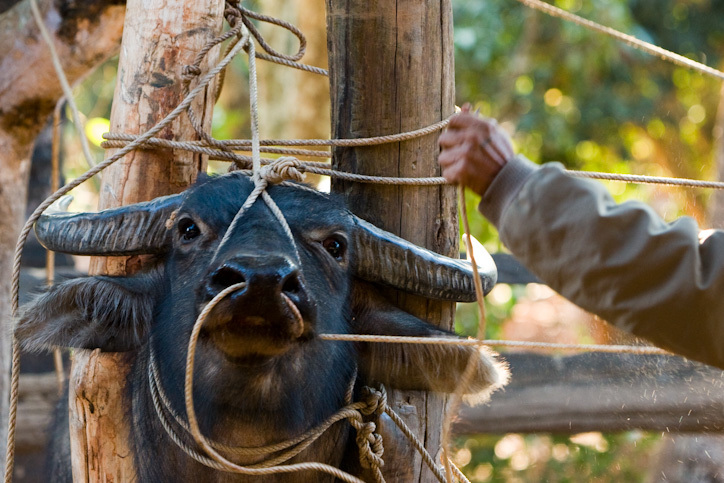 Buffalo being prepared for transport to the market. Photo by Robert McKenna.